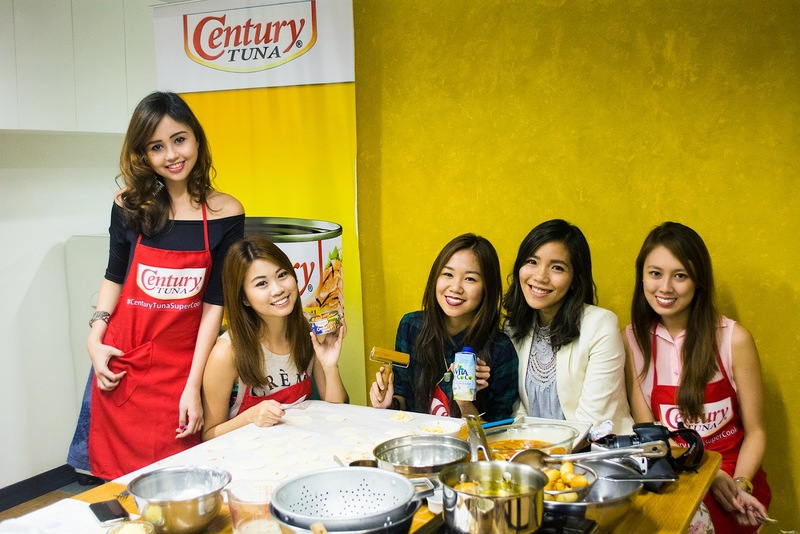 I was one of the bloggers invited to the Century Tuna cooking class that was held at their test kitchen along Julia Vargas Street. I was never good in the kitchen so this was something new and exciting for me! Also a bit scary, because I didn't know what to expect -- I initially thought it was going to be a cooking contest. Thankfully, it wasn't lol. 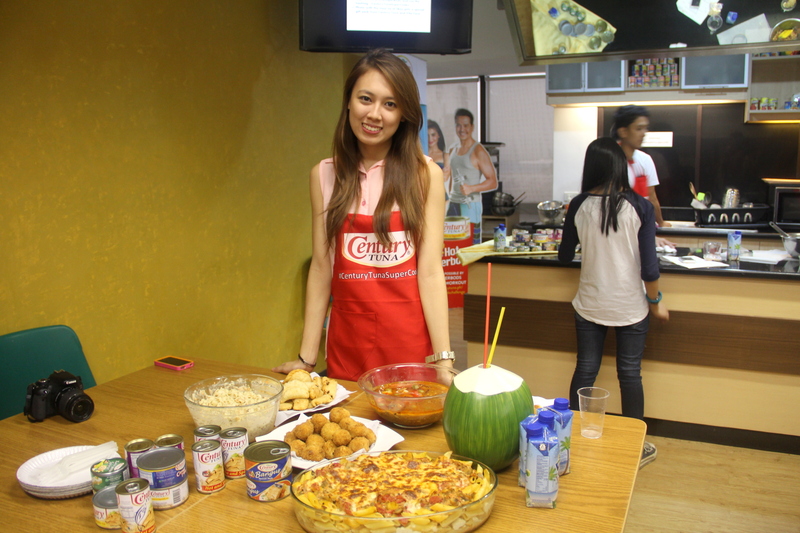 We were divided into 3 groups and each group had to prepare dishes using Century Tuna products. All the ingredients were already prepared for us, and were neatly arranged in trays. We just had to mix, cook, or bake, depending on the dish. How I wish cooking at home was this easy! 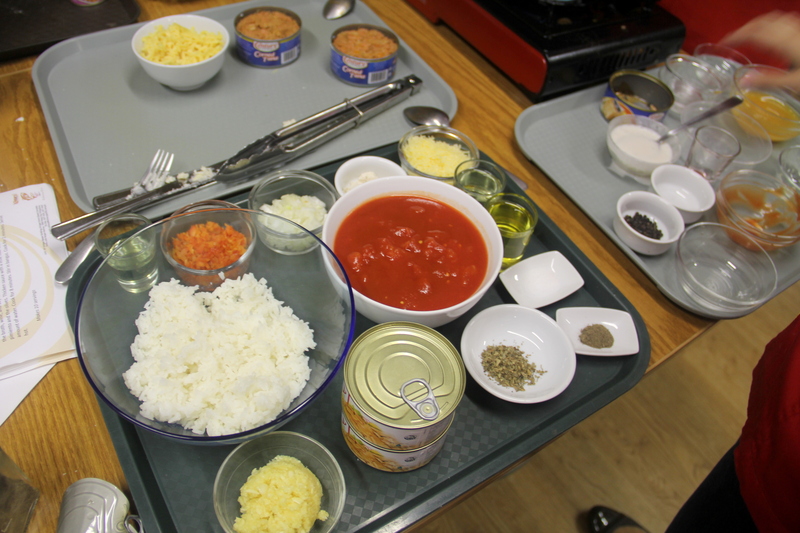 Above photo shows the ingredients for Risotto Balls. This was my favorite out of all the dishes we made. This is the batter I made for the Corn Dogs a.k.a. Corn Sausages lol. 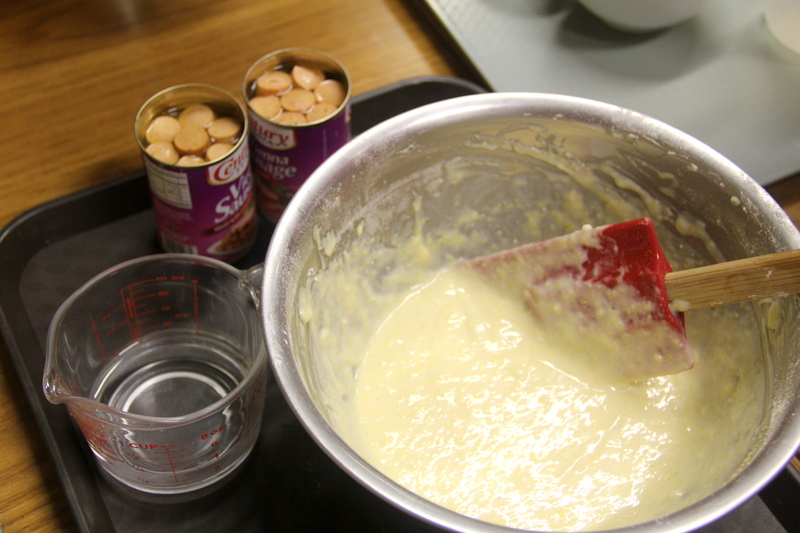 I dipped the Century Tuna Vienna Sausages into this batter and deep-fried them until golden brown. Posing with the Corn Dog batter! See how messy my apron got while preparing this! Haha. 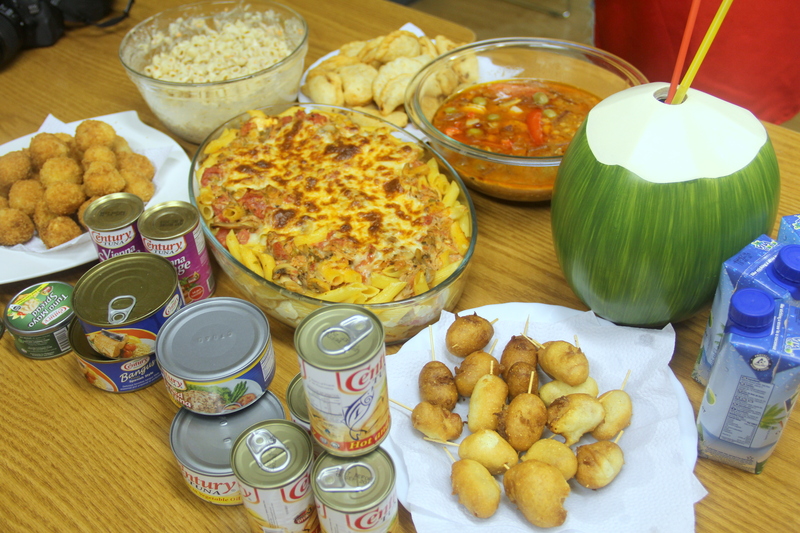 And here's everything we prepared: Baked Ziti, Macaroni Salad, Empanada, Bangus Callos, Risotto Balls, and Corn Dogs. I certainly didn't know you can make this many dishes with Century Tuna products! 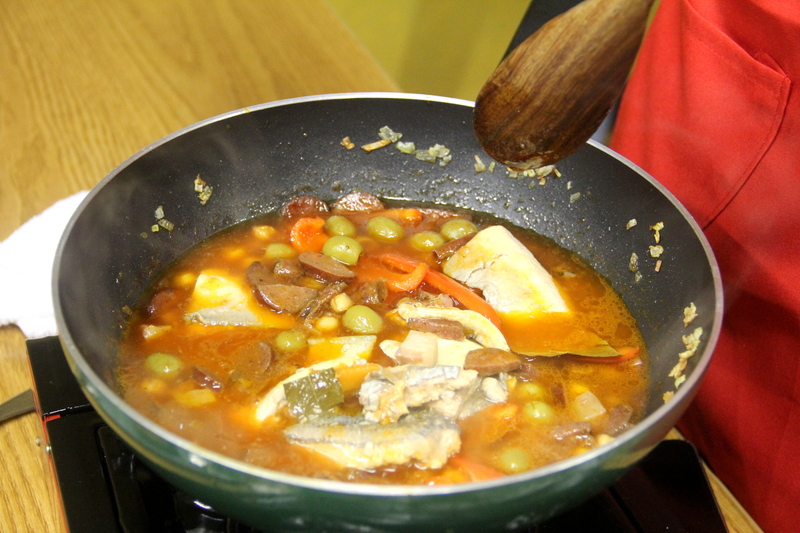 For the complete recipes, you can visit this link. Meet my group mates -- Nicole, Vina, and Yuki, with Sheena, the marketing manager of Vita Coco. 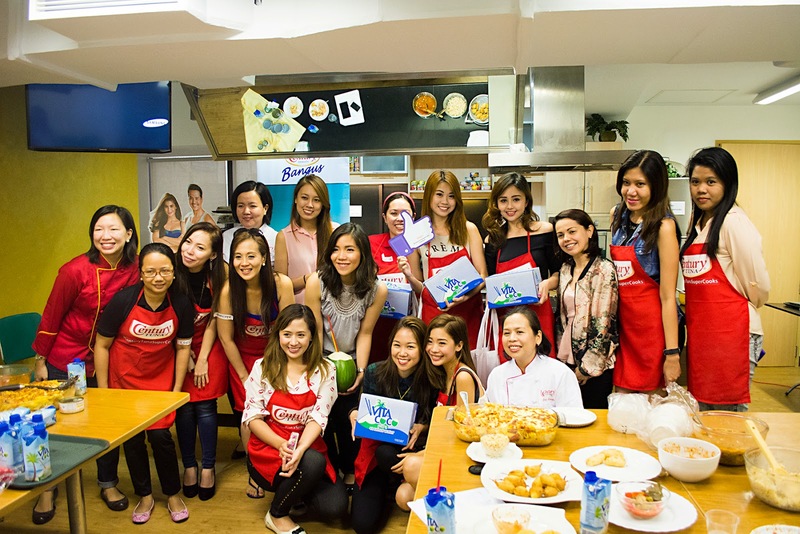 And the Century Tuna SuperCooks Batch 1 graduates!